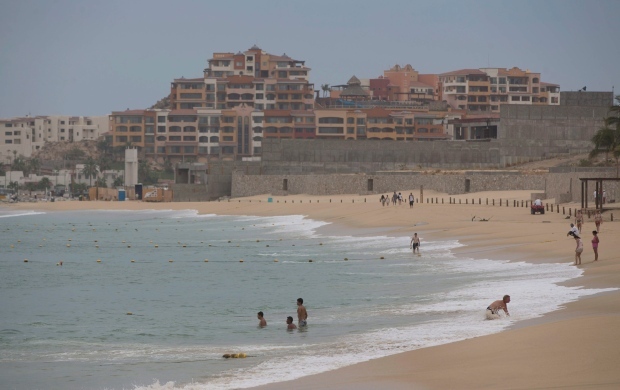 MEXICO CITY -- Three people were slain in the once-tranquil resort city of La Paz and two others were killed in the nearby beach town of Cabo San Lucas in Mexico's Baja California Sur state over the weekend. The state prosecutors' office said a man was shot to death Sunday in his SUV in La Paz, and another passenger was seriously wounded. Investigators found two pistols in the vehicle. On Saturday, two men were killed by gunfire outside a home in La Paz where a party had been held, police reported. 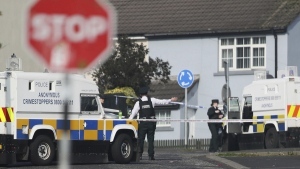 A third person was wounded, though his life was not in danger. Two other people were found dead at a home in Cabo San Lucas, south of La Paz, earlier that day. Both victims, a man and a woman, had been shot in the head. The area is believed to be plagued by turf battles between factions of the Sinaloa drug cartel.